The latest trailer for the highly anticipated Interstellar just launched and features some awesome new shots with Matthew McConaughey, Anne Hathaway and Jessica Chastain. Check it out below! Directed by Christopher Nolan (Inception, The Dark Knight trilogy) Interstellar stars Matthew McConaughey, Anne Hathaway, Jessica Chastain, Michael Caine and Casey Affleck. Interstellar chronicles the adventures of a group of explorers who make use of a newly discovered wormhole to surpass the limitations on human space travel and conquer the vast distances involved in an interstellar voyage. 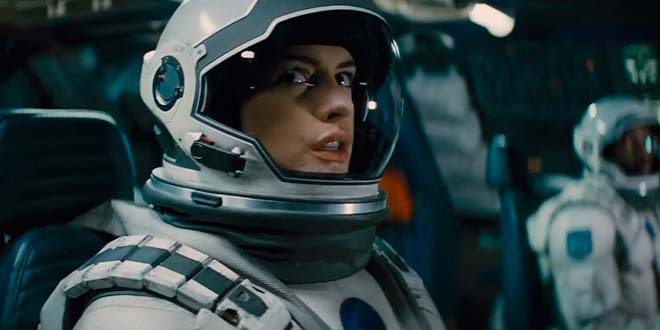 Interstellar launches into UK cinemas on 7 November 2014.